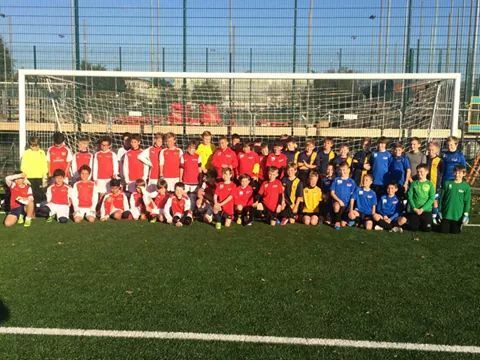 Last weekend Tyler Sutton played for the academy against Arsenal at the Emirates in London. In what was clearly an entertaining game the match finished with a 5-5 draw. 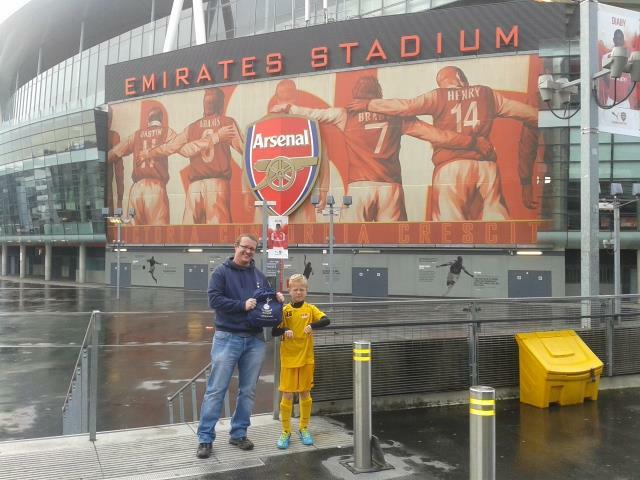 Pictured below are Tyler and his Dad, Jonathan outside the Emirates Stadium together with a group photo of the teams with the Arsenal squad in their red and white shirts!